Former British Ambassador to Moscow and author of "Afgantsy" asks: Can an invasion of Afghanistan ever be considered to be a mission accomplished? The British in the 19th century, the Soviets in the 20th and now 21st century ISAF is pulling out its troops. What have they achieved and what is likely to happen afterwards? On 16 December 2013 David Cameron, the British Prime Minister, told British soldiers in Helmand in Afghanistan that they had accomplished their mission, and that they could come home in 2014 with their heads held high. He begged an important question: What was that mission? Was it the same as the mission with which the Americans and their allies had entered Afghanistan in October 2001? Or the mission with which the British had gone into Helmand in 2006? Or was it a face-saving reformulation, designed to demonstrate that the blood and treasure expended in Afghanistan over thirteen years had not been spent in vain? It is a mistake to draw historical parallels too closely, or to seek unambiguous lessons. But looking at the past can clarify the present, even if it offers no secure guide for the future. 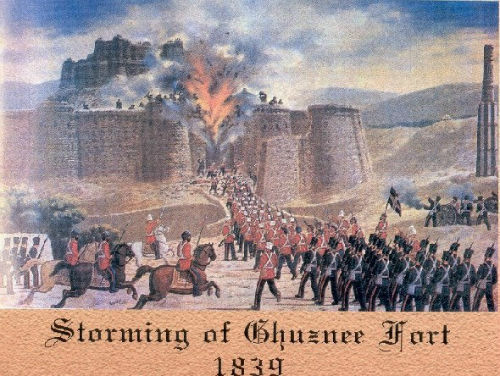 The British invasions of Afghanistan in the nineteenth century, the Soviet invasion in 1979, and the American led invasion of 2001, all have one thing in common. By a narrow definition, all the armies won their wars, though the British suffered some humiliating defeats on the battlefield. But neither the British, nor the Russians, nor the Americans achieved, at least through military means, the objectives they had set themselves. All scaled their ambitions down to aims that they could probably have achieved earlier and at less cost. All seriously damaged their own prestige. And all wreaked havoc on the country they claimed to have come to help. 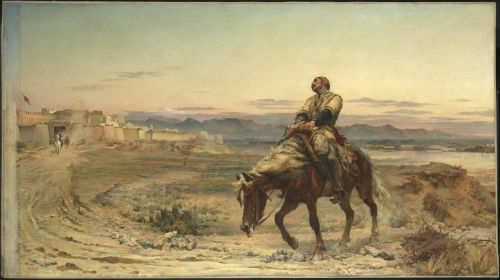 A good deal of myth surrounds the three Anglo-Afghan wars (1839-1842, 1878-1880, and 1919). The first two ended with British armies defeating the Afghan armies in the field and burning down Kabul. The third ended when the British drove an invading Afghan army out of India. The aim of the first two wars was to ensure British control over Afghan foreign policy, above all to prevent the Russians getting a menacing foothold on the border of the Indian empire. Among British policymakers there were two schools of thought. One held that success could only be achieved by reducing Afghanistan to a protectorate under a British puppet, as the British had already done in so many parts of India. 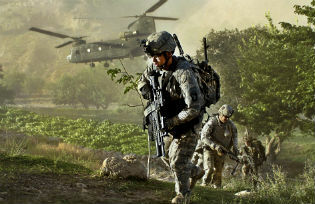 The other held that it would be enough to secure Afghan cooperation through diplomacy, subsidies, and the occasional threat of military action. The ‘forward policy’ proved unsustainable: the Afghans made life intolerable for the British occupiers. But the alternative was a success. The British effectively controlled Afghan foreign policy for eighty years, bribing and persuading even the formidable Afghan ruler Abdur Rahman to match their wishes. Today some Afghans regard Abdur Rahman as a traitor, though he was probably their most effective ruler in the last three hundred years. Thus the British very soon abandoned any idea of imposing a political solution on Afghanistan, still less of trying to rule it in their own image. Their Russian and American successors, however, made the mistake of believing that they had not only the need, but the duty, to re-engineer Afghanistan’s political and social system, to bring the country, as the Russians said, from the fourteenth into the twentieth century. Both the Soviet and the American invasions began with a stunning military success. The Russians did not go in, as Western propaganda held at the time, to threaten Western oil supplies, to secure a warm water port, or to incorporate Afghanistan into the Soviet Union. On the contrary, they feared that a country which bordered on their vulnerable Southern frontier was falling into chaos under its murderous and dysfunctional Communist leaders, a situation that would be exploited against them by the Americans. They therefore decided to get rid of the Afghan leader Amin. In December 1979, in a brilliant special forces operation, they killed Amin and replaced him with a puppet. Their plan was then to train up the Afghan army and police, put the political and social system on to a sound basis, and leave a stabilised country behind them after perhaps a year. They hoped to create a political and economic system on broadly ‘socialist’ principles, thus ensuring that Afghanistan would automatically remain a reliable friend of the Soviet Union. The Afghan people had a different idea. Many of them had originally welcomed the removal of Amin. But they deeply resented the presence of foreign occupiers, infidels who tried to change their age-old ways. Resistance spread and the Russians were sucked into a quagmire from which they extracted themselves with much difficulty nine years later. In putting the case for an early Soviet withdrawal to his colleagues in the Politburo, Gorbachev said: ‘We could leave quickly, without worrying about the consequences, and blame everything on our predecessors. But that we cannot do. We have not given an account of ourselves to the people. A million of our soldiers have passed through Afghanistan. And it looks as if they did so in vain. So why did those people die?’ Gorbachev, in fact, found himself in much the same place as Cameron a quarter of a century later. He no longer hoped to achieve the broader ambitions the Russians had set themselves of re-engineering Afghan society in the interests of progress and stability. Instead he needed to find a way of declaring ‘mission accomplished’ without repudiating the sacrifices that had been made by the Soviet soldiers. In one sense, Gorbachev had a surprising success. The Americans, the Pakistanis, and the Afghan guerrilla fighters, the mujahedin, had all been determined that the Russians should be humiliated. In addition, the Pakistanis and the mujahedin aimed to set up an Islamic government in Kabul to replace the Communists. 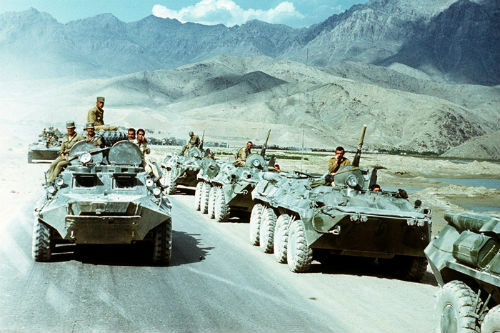 But in protracted negotiations in Geneva in 1988, the Russians managed to secure a deal which allowed them to withdrew their forces in good order, leaving behind their own man, Najibullah, and an Afghan army capable of defending him. It was a short lived triumph. Najibullah and his army were almost completely dependent on Russian supplies of fuel, food, weapons, and ammunition. When Russia went bankrupt at the end of 1991 and cut off supply, the army split and Najibullah’s regime collapsed in a welter of intrigue. There followed a vicious civil war and the victory of the Taliban. In 2001 the Americans also went into Afghanistan with a simple and achievable aim: to destroy Osama Bin Laden and his Al Qaeda organisation which had master-minded the destruction of the Twin Towers in New York, and to overthrow the Taliban regime which had given him comfort. 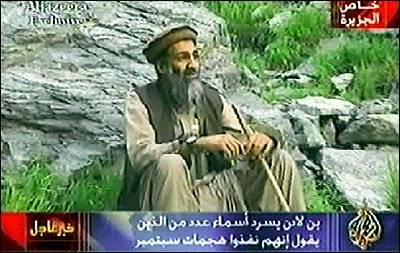 In this limited objective they were almost completely successful, though Osama escaped to Pakistan. But, like the Russians before them, they then expanded their aims. They proceeded from an entirely flawed premise – that Al Qaeda could not regroup outside Afghanistan and that the Taliban too were terrorists (though they had never planted a bomb outside their own territory). Another British Prime Minister, Gordon Brown, caricatured the proposition thus: British soldiers were fighting the Taliban in Helmand because plots against targets in Britain were being elaborated in the mountains of Pakistan. So indeed they were: and they were countered by good cooperation with Pakistani intelligence and good police work in Britain. The fighting in Helmand was almost wholly irrelevant. Like the Russians before them, the Americans concluded that the best way to stabilise Afghanistan in the longer term, and to prevent it once again becoming a terrorist haven, was to re-engineer its politics and society, though this time the principles were to be those of Western democracy, rather than those of Soviet socialism. The Americans entered Afghanistan in 2001 to find Osama Bin Laden. Thirteen years later they are beginning to slowly withdraw. This time too the Afghan people begged to differ. Ordinary Afghans were little more interested in the ideas promoted by Western unbelievers than they were in the ideas of the Russian infidels who had preceded them. The Taliban regrouped. The Americans, too, were sucked into a quagmire. But this time the war lasted even longer. This time too the invaders successfully cleared the way for their withdrawal by setting in place a friendly regime with an army and police force capable of defending itself. This time too they promised to support the regime with military and economic advice and assistance for as long as it took. This time too there was an inevitable doubt about how long the foreigners would retain the political will to go on supporting their friends in Afghanistan once they were no longer present there. First, Afghanistan. It is hard to establish what is really happening there amid the competing claims of optimists who say that the country has made significant strides in political and military organisation, women’s rights, education, and the economy, and pessimists who say that the present regime is corrupt, divided, and hopelessly inefficient. One possibility is that, once the Americans and their allies have left, the country will once again be torn apart by civil war, and most of the economic and social progress made in the last decade will be nullified. Another is that the Afghans’ immediate neighbours will be unable to refrain from meddling in Afghan affairs, and will keep the country in turmoil. A third is that enough has been done to ensure at least a kind of stability and a modicum of social and economic progress. What is certain is that however much outsiders may talk of the blood and treasure they have poured out in Afghanistan, it is the Afghans who have suffered most in the last thirty five years. Only they will be able to find solutions that endure. But what about ‘the mission’, the latest British experience in Afghanistan and its implications? It was a long war, painful and expensive; but it was not, by the standards of the past, a very substantial one. It demonstrated that the British soldier is still very good at his job. But the people of Britain came to the view that the ‘mission’ had little to do with their real interests. Their scepticism about the government’s wider ‘strategy’ was reinforced. They were not impressed by the pouring out of scarce resources on powerful aircraft carriers and nuclear missile submarines for which no serious strategic need has been advanced except, perhaps, that we need these gadgets to help us stay up there with the Americans. Meanwhile there is no sign that the dismal experience of Afghanistan and of Iraq is pushing the British government and military into hammering out a genuine strategy of the kind the country really needs. Perhaps they are not wholly to be blamed, because it is no longer clear which country we are are talking about. A ‘strategy’ that is ill-adapted to the Britain of today may be even less adapted to the Britain of 2020, when the Scots may have voted to leave the Union and the English may have voted to leave Europe. By then the British ‘mission’ in Afghanistan may have paled into insignificance as the English wrestle with the problems of defining and negotiating a sober and affordable strategy which adequately covers their new political and military relationships with their neighbours, their allies, and their enemies.